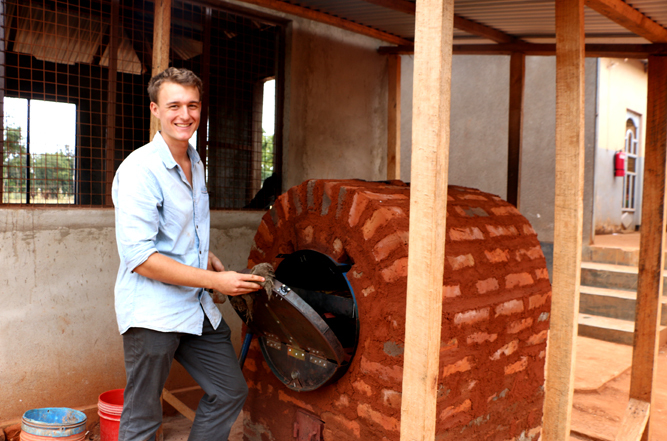 Our volunteers Simon and Leila started to build an oven to help the cooks baking our daily scones. Now it is under a roof and the cooks will not get wet in rain season. The first proof was a cake for our students and it was delicious!